5 Days Till The Big Birthday Sale! Three of my favorite books by one of my favorite authors. I hear he can be a bit of a narcissist in real life though. Only 5 days until my birthday and you get a special gift. 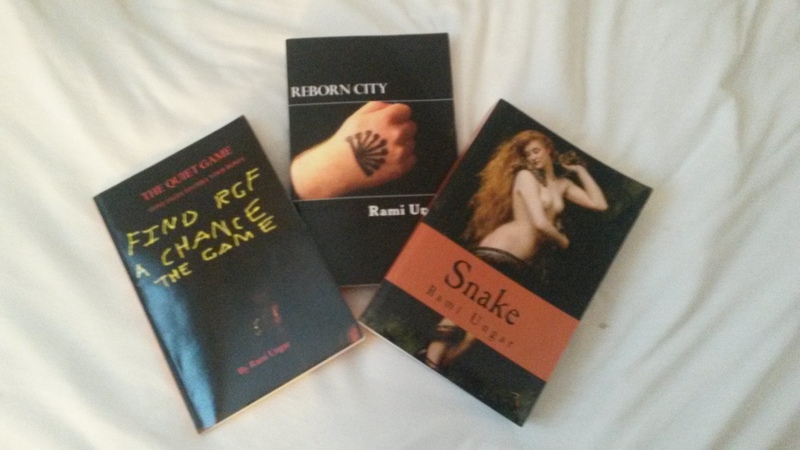 All my published works–The Quiet Game, Reborn City, and Snake–will be on sale from June 10th to June 14th on Amazon and Smashwords. Paperbacks will be marked down and e-books will be free to download. If you’re looking for something new to read and do it cheaply, or you want to get a gift for both me and for yourself, this is the opportunity to do so. That’s all for now. Hope you’re as excited as I am. I know my sister is. She shared and retweeted my Facebook and Twitter posts about this. God bless her, she loves my stories (and not just because I wrote them). All for now. If I don’t post later today, have a great weekend, my Followers of Fear!